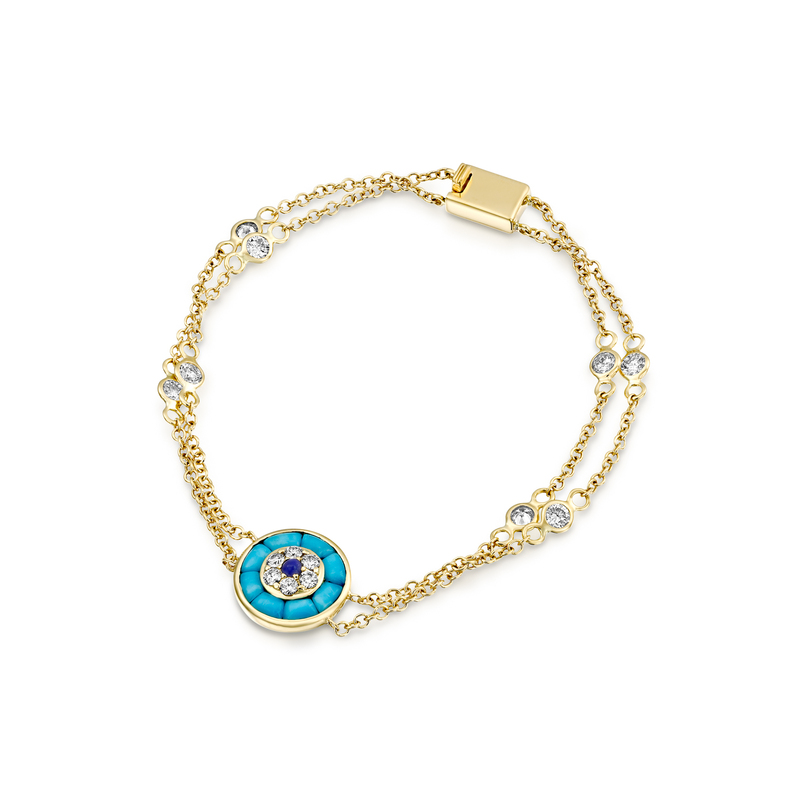 Double stranded 18K gold and diamond bracelet with round evil eye featuring 0.08 carat lapis lazuli central stone, 1.09 carats of diamond pave and 0.73 carats of tapered turquoise. This beautiful delicate bracelet glistens with sparkly diamonds scattered throughout, and a round evil eye amulet to ward off evil spirits. Why we love it: Everyday beauty. An easy piece for casual every-day wear, this evil eye bracelet can be worn on its own or will compliment other bracelets for a layered look.